Today I am going to Introduce a new Baby Care brand to my readers and friends . 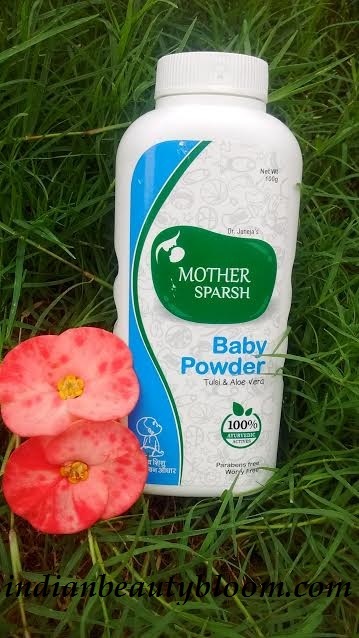 It’s an Ayurvedic Brand , Mother Sparsh . 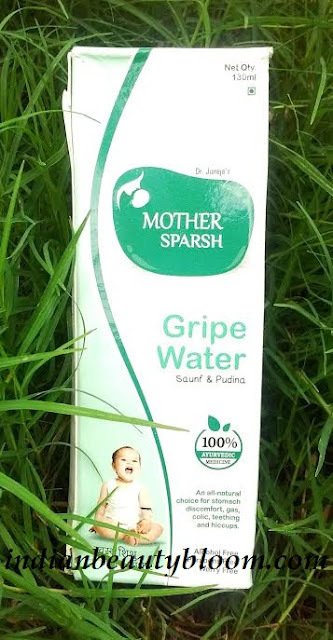 Mother Sparsh is an Indian Brand and it has some good collection of baby care products like Talc , Body lotion ,Soap ,Wet Wipes , Baby wash , Lal Tail ( Massage Oil ) ,Gripe Water etc. It’s an Ayurvedic Brand and it’s products are free of Parabens , Alcohol , Artificial colors etc . It’s products are safe and can be used for new born babies . This is a body wash with Olive & Turmeric . It’s Paraben free & Silicone Free. It Cleanses & Moisturizes the skin . Price : Rs 85 for 100 ml . It Contains Tulsi & Aloe Vera . Keeps the skin cool & Comfortable and prevents Rashes . It Contains Olive Oil & Aloe Vera . Free of Paraben & Silicone . 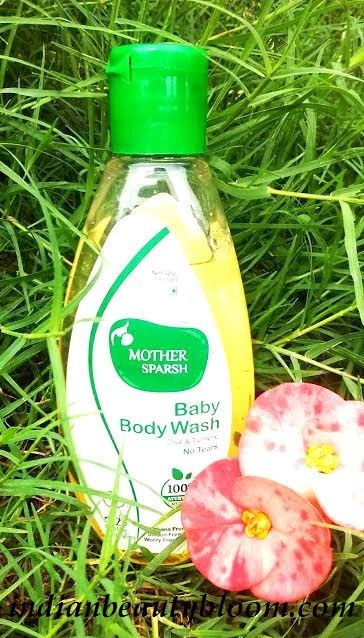 Helps to keep baby skin soft & Supple . Prevents dryness and keeps the skin moisturized for a long period of time . Price : Rs 34 for 40 ml . Its a type of massage oil for babies . It’s main ingredient is Sesame oil along with few other herbs . It improves blood circulation and gives strength to body . We all know that a good massage is so important for small kids to makes them strong and this Oil is a perfect one for that . It’s an alcohol free , Paraben Free tonic with Saunf & Pudina . It’s a 100% ayurvedic medicine . It helps to relieve stomach discomfort & gas from colic & hiccup . Small kids do have lots of Colic problem and gripe water is an easy solution for that . Price : Rs 55 for 130 ml. It’s a paraben & Pthalate free soap with goodness of Almond Oil & Olive Oil . It’s a mild soap with aloe vera extract and it cleanses and moisturizes the skin . Price Rs 48 for 75 gms. Baby wipes is a must product in baby skin care routine . 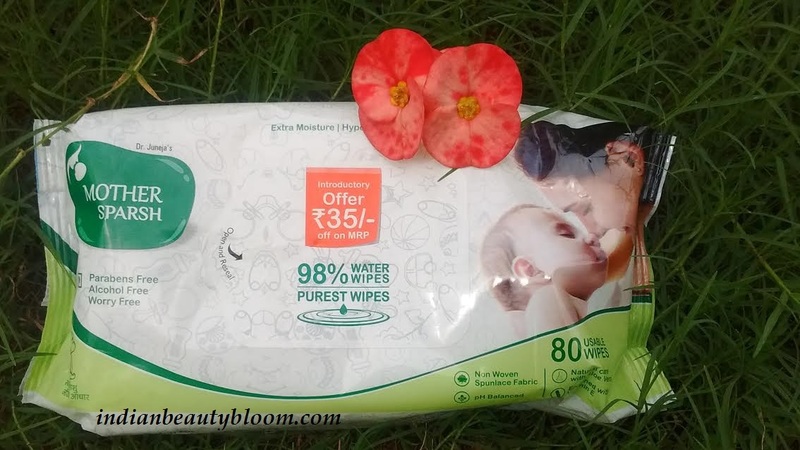 This baby wipes from Mother Sparsh a Paraben & Alcohol free product with goodness of Aloe Vera & Vitamin E . It is made from Non Woven Spunlace Fabric and is PH balanced , so safe for babies skin . It’s 98% water wipes with Glycerin & Jojoba Oil . Price Rs 150 for 80 wipes . Before giving any new product to my kids , I try it myself to check if it is good or not . So this time also I tried one product on myself before giving it my kids . It’s an amazing product with nice fragrance and its good on skin . Moisturizes the skin and keeps it hydrated for a good period of time . 1. Ayurvedic products so free of harsh chemicals , preservatives & colors . 2. All the products are paraben free , Sulfate free , Alcohol free. 3. 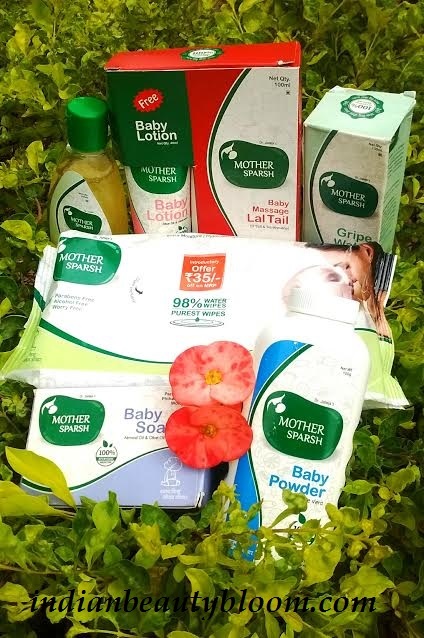 Price of these products are much less than products from other baby care brands , so it’s affordable and any one can buy and try . 4. Product Packaging of all products are good . 5. All products have sufficient shelf life for longer usage like 2-3 years . 6. Key ingredients in all these products are oils like Almond Oil , Jojoba Oil , Olive Oil , Aloe Vera etc , so safe for babies skin . Availability might be an issue as it’s available mainly on Online Stores . One can buy these products from online stores like Amazon , Flipkart , Snapdeal etc.